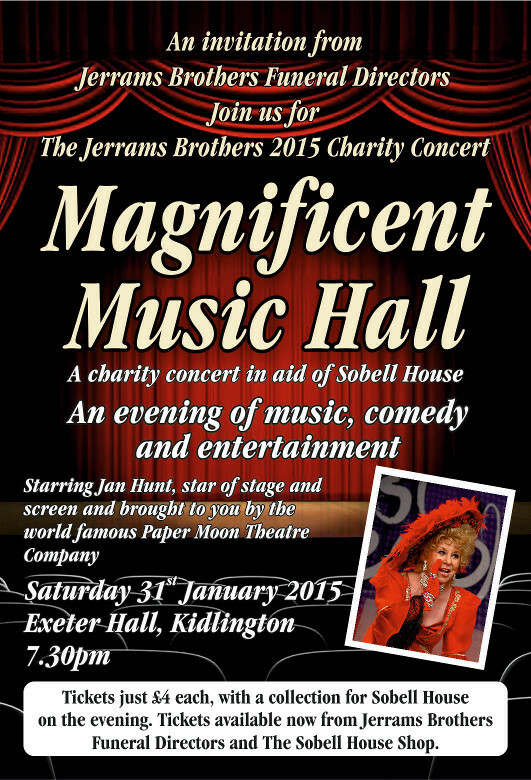 Jerrams Brothers Funeral Directors once again invite you to their annual charity concert on Saturday 31st January at 7.30pm at Exeter Hall, Kidlington. Tickets are just £4 each with a collection on the night for the work of Sobell House. We regret our concert is now sold out.